Youngs Plumbing services provide services for full installs on plumbing and heating, maintenance and emergency call outs. 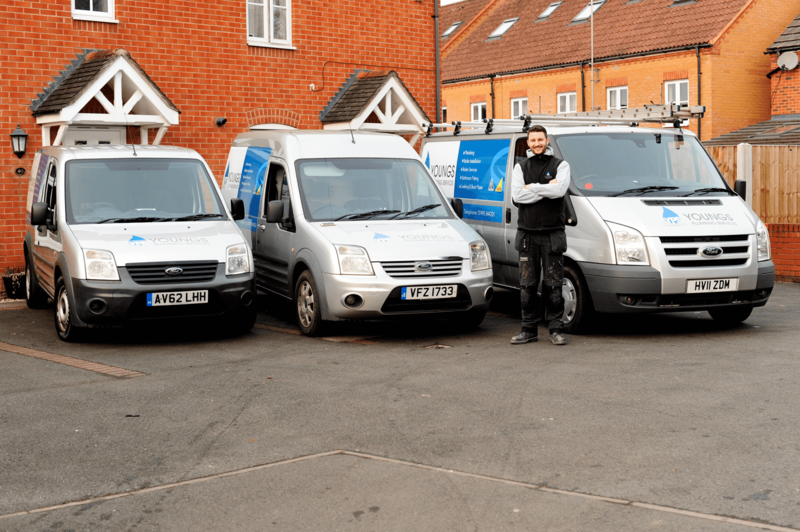 There’s no job too big or small for our friendly and experienced team; with our quick and efficient working, your plumbing systems will be running as they should be again in no time. Our team have worked on many major projects including large plots of new build homes, new hotel builds, hotel and large house renovations and from these projects we have been recommended for other works. We have developed a great reputation for our high quality of work and keeping in timescales. We also provide maintenance contracts to our commercial customers. Youngs Plumbing Services Ltd are a local, friendly, family business and have developed a brilliant reputation for domestic and commercial jobs. We are a reliable and professional company. We pride ourselves on our customer service and expertise offering a wide range of high-quality plumbing and heating services at very competitive prices. We have a team of fully qualified Engineers trained in all aspects of plumbing and heating, no job is too small!